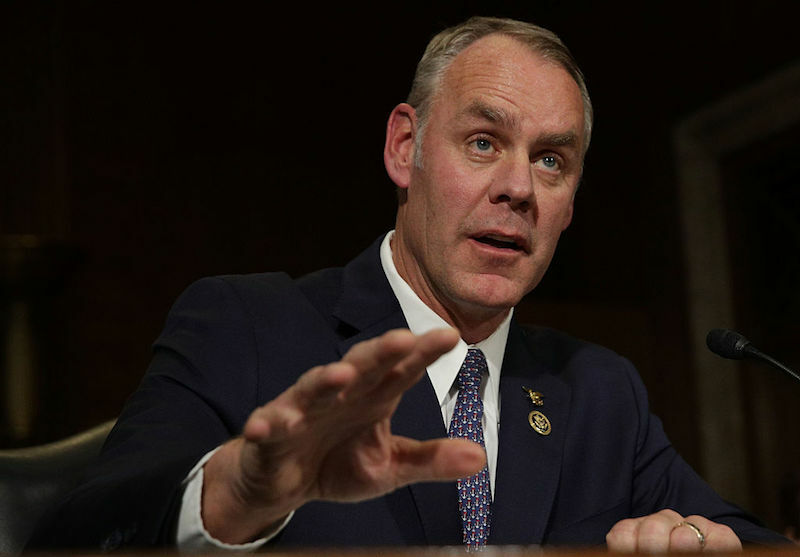 Interior Secretary Ryan Zinke testifies during his confirmation hearing before Senate Energy and Natural Resources Committee January 17, 2017. A DOI scientist resigned over officials' request for sensitive data on Alaskan oil and gas. A second scientist said it was part of his decision to leave. Political appointees at DOI pushed to see the data—part of a major study of oil and gas reserves in Alaska—in advance of its being made public. The pressure to disclose the data violated written guidelines followed by the US Geological Survey which say that such results are “not disclosed or shared in advance of public release." Present and former DOI employees said the request also violated a long-standing tradition. Federman’s piece was cited in Congresswoman Betty McCollum’s press release requesting the DOI’s Inspector General investigate Bernhardt’s request for unpublished oil data. In a letter to Secretary Zinke, two lawmakers ask why the Trump administration demanded sensitive oil data. Federman’s reporting was picked up by the Washington Post and the Hill. "Once you start injecting political officials into the process of developing scientific assessments, you raise serious questions about the objectivity of the science."